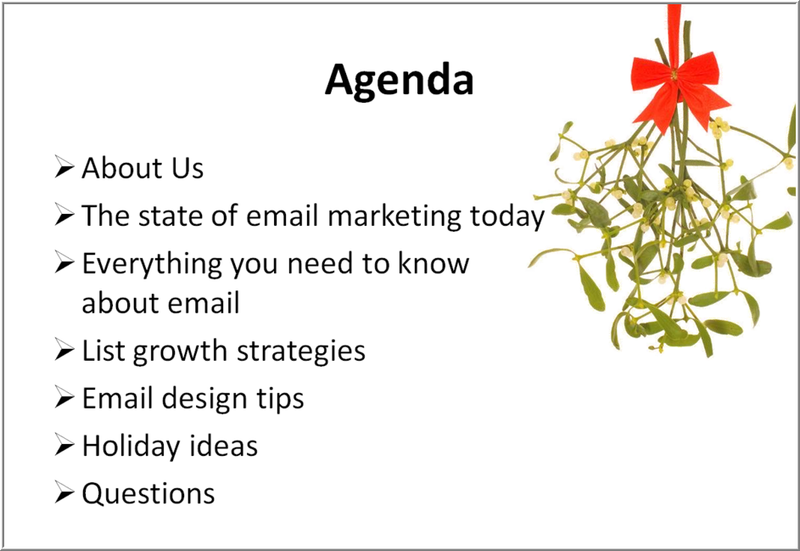 With the holidays approaching and our newsletter being prepped for distribution, I thought this would be a good webinar to get some "holiday" marketing ideas. We're right on track with our Holiday Cookbook for our newsletter. All the strategies suggested focused on building relationships and making us seem "real" and relatable to our customers. They also suggest that that it's a good time to make our homepage festive and let our customers know how much we appreciate them. 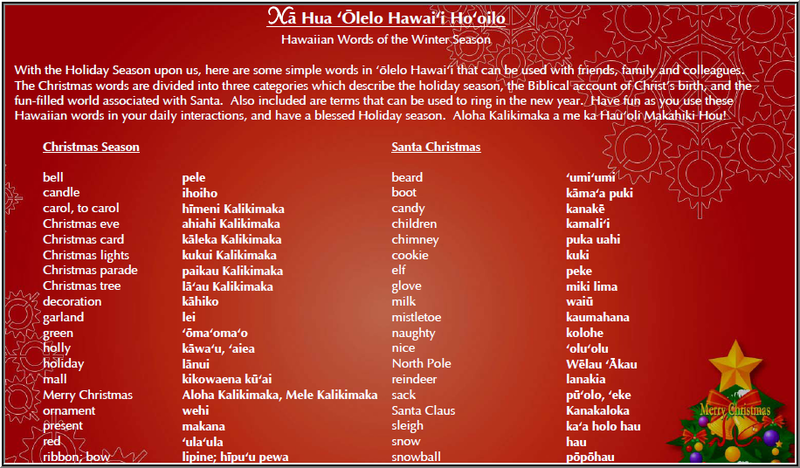 We could include a link to the list of Hawaiian Christmas Words with a reminder to register for the next Hawaiian language course coming up in January or to a "Mele Kalikimaka" card template for keiki to color and send to grandma or even a MP3 of a Hawaiian christmas carol with a note that the AM culture courses all include keiki activities and mele. Another tip I learned was to make the subject line in our newsletter include words that convey action or a sense of urgency with our Branch name for brand recognition. Same goes for article titles. We should use as much action words as we can in the newsletter articles. What do we want them to do: read, talk, share, enroll? Stressing these words set up a clear call to action. I think we're actually doing pretty good at researching, piloting and evaluating our new marketing tactics. All the webinars I've been attending or blogs I've been reading validate a lot of what we're already doing or the ideas we come up with.